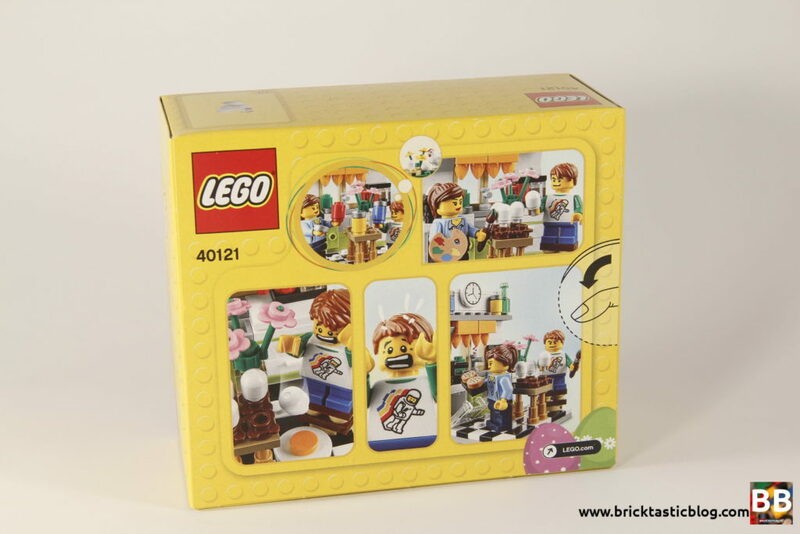 It’s the Easter long weekend, and while I don’t have the latest Easter Seasonal set – 40237: Easter Egg Hunt, I do have the 2015 set, so I thought I’d crack it open and spend the weekend building. 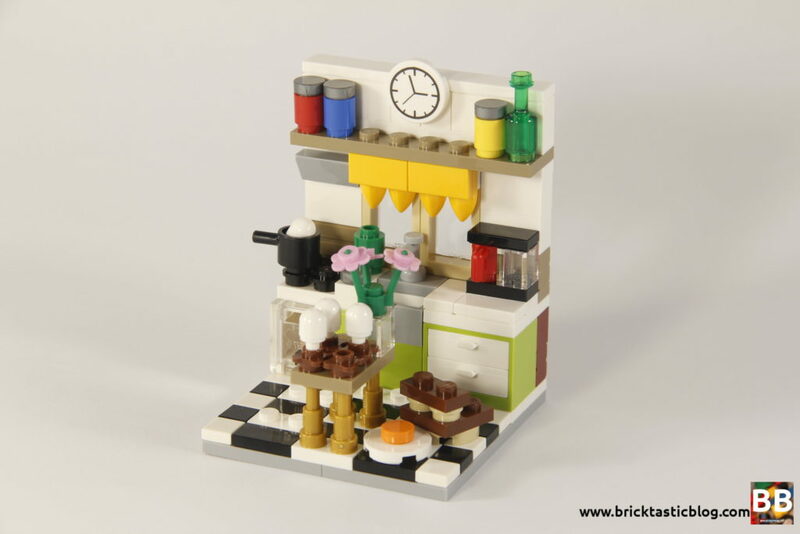 Of course, there’s more sets I’ll be building – this one is rather small. I really like the small, vignette style seasonals. I’m very glad the style is back. As far as painting Easter eggs goes, that is a long standing tradition in my family, especially for the kids, and I know my family wasn’t the only one. Inside the box are three un-numbered parts bags and an instruction booklet, as well as two medium stone grey 4×8 plates. The back of the box is particularly nice, with a storyboard of the characters painting Easter eggs, and the boy dropping one. 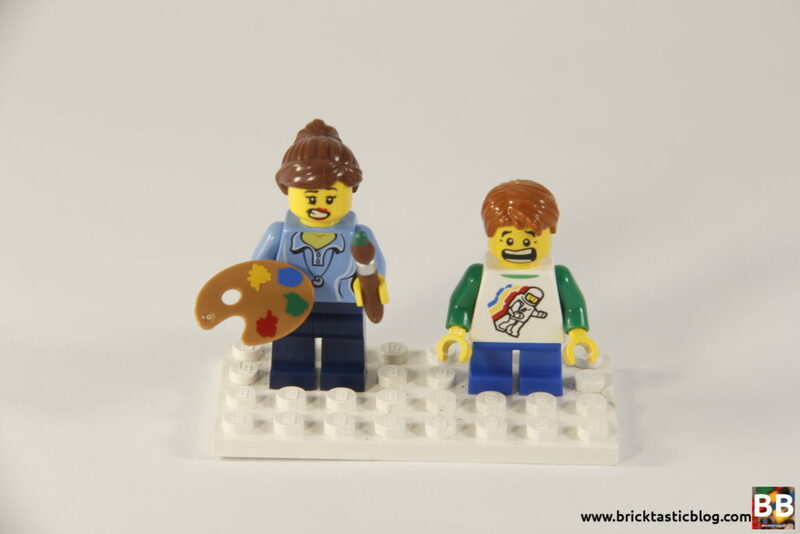 Let’s first look at the two included minifigures. There’s a boy, and a woman. 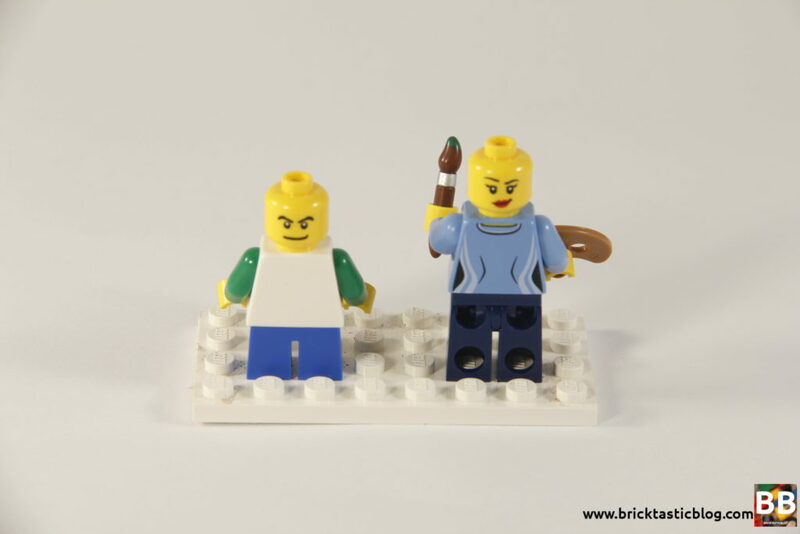 Both minifigures have dual sided heads. The boy has one of my favourite torsos – the Classic Spaceman. I’ve got a few of these now, and I absolutely love them. He’s got a determined (and almost mean) look on one side of his head, and a scared look on the other. The female has a blue top with dark blue legs, and a smirk on one side of her face, and a bit of a unsure look on the other. She also carries a paintbrush and a colour palette. These two take their egg painting seriously! 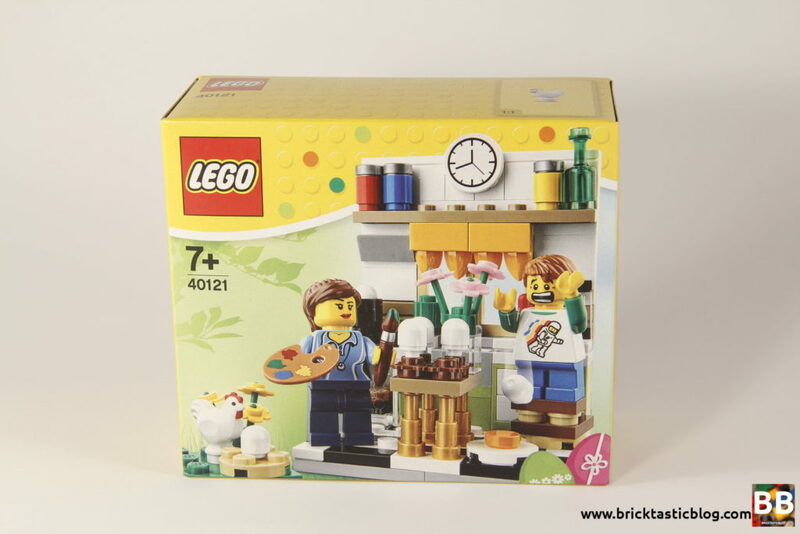 The parts included don’t include anything unique, but there are some nice inclusions, including a chicken, some nice flowers in pink and yellow, a bright green kitchen bench assembly, and a bottle and some cookies thrown in for good measure. Nice inclusions, but nothing overly special. Being a vignette, there’s very little play, but it’s not like there’s none. The eggs can be “painted” using the paintbrush, and there’s of course the dropped egg, as well as some limited playing in the kitchen, including the cookies in the oven, among other things. Not overly playable, but there’s options. Realistically though, this set wasn’t really going to be bought for play. This build is very straight forward, with limited specialised techniques. after the minifigures are put together, the little outside garden is constructed. Tiling on the floor is quite quick, and relatively painless. Normally, tiling a section of floor with 1×1 tiles is painful, as the tiles are never straight! It might be that I’ve got a bit of OCD with this, but I’m sure I’m not alone (let me know below if you share my pain!). Anyway, the bulk of the flooring is 1×2 tiles or plates, so it certainly helps. The back wall consists of some 1×2 profile bricks in two different colours, as well as some windows, with a mostly white colour scheme. The inside (of course) is where the action is. 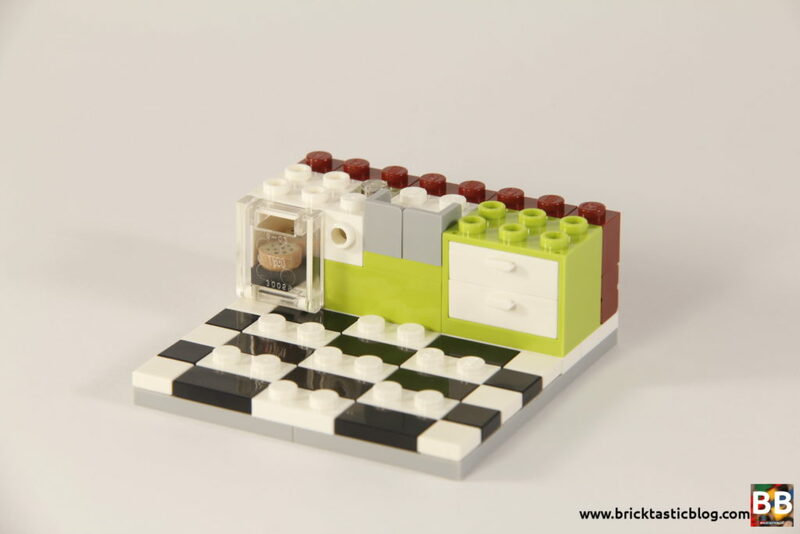 A lovely detailed kitchen, with an oven, sink, and some drawers, with a coffee machine sitting on the bench, and a boiled egg in a pot on the stove. The window has some curtains, as well as a shelf with some jars and a bottle, and a clock in the centre. There’s also an island bench, where all the egg painting is happening. There’s very little specialised techniques, with only the curtain, rangehood, clock and drawer built using Studs Not On Top. It’s a quick and fun build. This little scene packs in so much detail, and it’s a scene that I’m sure many families are familiar with, especially the mess! It’s neat, cute and appeals to a very wide audience. The only let down (and this is only a let down that comes now) is the eggs. If only the Angry Birds theme had appeared before this set, we could have had some brilliant eggs! 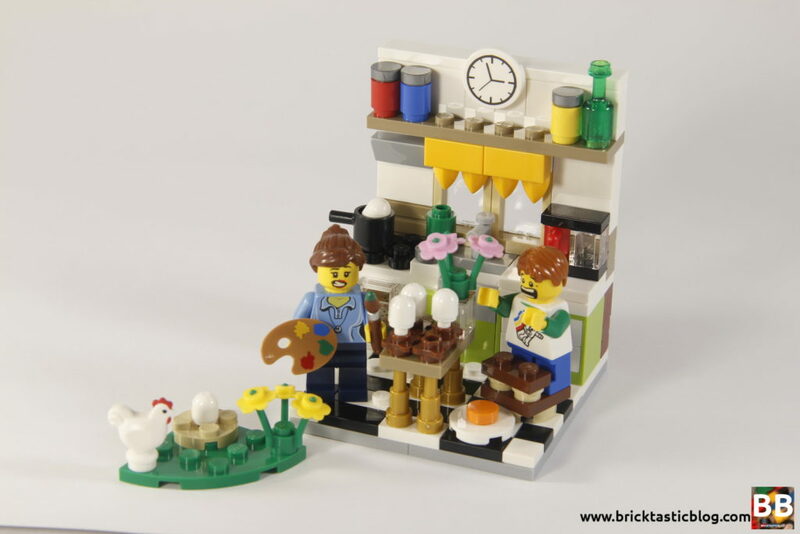 For some rather standard parts, the set looks appealing, and is a great one to build in preparation for Easter. The little garden sub build is, to be honest, a little strange. It doesn’t seem to fit. I’m not complaining though – my chicken count has risen by one. 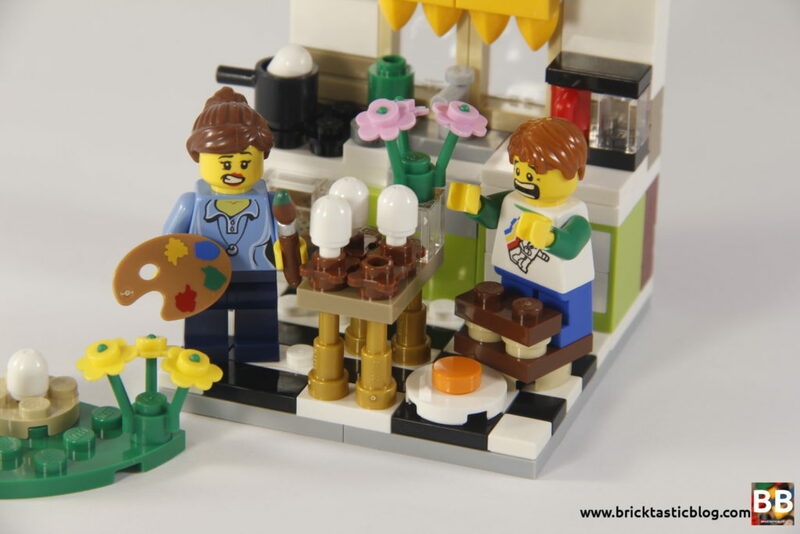 To date, there’s been eight seasonal vignettes that LEGO has produced. These have proven to be very collectible, and offer some cute little insights into a minifigure’s year. Apart from that though, there’s not much else to mention. I’m happy I’ve got it, and I’d love to get my hands on some of the other vignettes, but compared to other sets, it’s not as great. Next week I’ll be getting stuck into what I promised originally – 40166: LEGOLAND Train. Are you a fan of the vignettes? Have you been painting Easter eggs this weekend? Let me know in a comment below! 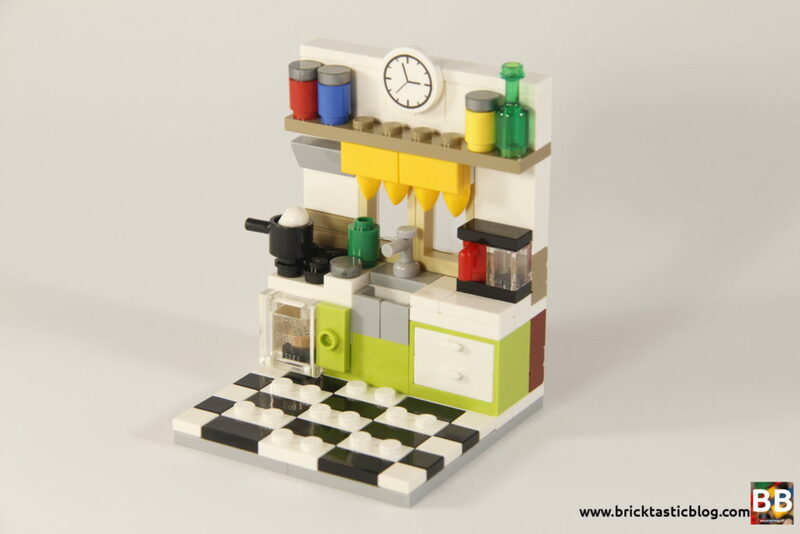 Also, have you built something for my LEGO Re-Theme Challenge? 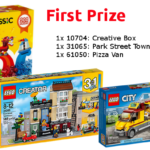 It’s on until Friday May 5, and you can win some excellent LEGO prizes! 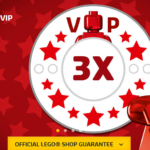 Earn 3x VIP Points at LEGO Shop at Home!